German Chancellor Angela Merkel is due to arrive in Buenos Aires on Friday evening, far later than planned but still in time to attend a G20 dinner after “serious” technical problems forced her plane to make an emergency landing. 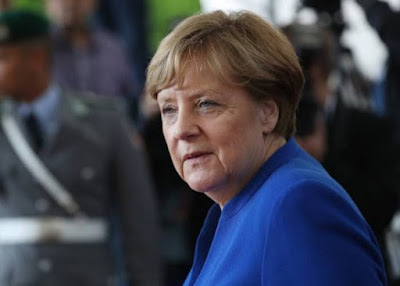 The government Airbus A340-300 made an unscheduled landing in Cologne shortly after leaving Berlin on Thursday, causing a delay that means Merkel will miss the start of the two-day G20 summit in the Argentine capital. “It was a serious malfunction,” Merkel, who had to spend the night in a hotel in nearby Bonn because no replacement plane was immediately available, told reporters. German media reports said the plane suffered a complete breakdown of the on-board communication system, a problem described as extremely rare. Merkel will now travel to the G20 with a vastly slimmed-down delegation. The group flew to Madrid in a German air force plane in the early morning, a government spokeswoman told DPA. From there, the delegation is set to board a regular commercial flight to Buenos Aires. Merkel was due to hold bilateral meetings with Russian President Vladimir Putin and US leader Donald Trump on the sidelines of the summit on Friday, but her delayed arrival has thrown her schedule into disarray. She will also miss the traditional G20 “family photo” of attending heads of state and government, according to DPA.